West Papua’s push to gain observer status at the annual Pacific Islands Forum was supported by Solomon Island’s Prime Minister Manasseh Sogavare, while Papua New Guinea and Fiji remain reluctant to get involved. The Solomon Islands Prime Minister Manasseh Sogavare will push for a West Papuan group to be admitted to the Pacific Islands Forum at the annual summit of the region's leaders in Port Moresby. The government's special envoy on West Papua Matthew Wale says the Solomon Islands is supporting the United Liberation Movement of West Papua's application for observer status at the Forum. The ULMWP was granted observer status in the Melanesian Spearhead Group at the regional organisation's recent leaders summit in Honiara. Mr Wale says Solomon Islands will also urge Forum leaders to support a resolution calling for the UN Human Rights Commissioner to conduct an assessment on the human rights situation in West Papua. The Solomon Islands also wants a resolution calling for West Papua to be included on the UN's decolonisation list. Mr Wale says the leaders have a moral obligation to deal with the issues responsibly given public opinion and the amount of information about the situation in the Indonesian region. However other Pacific Islands government, notably those of Melanesian powerhouses Papua New Guinea and Fiji appear reluctant to engage on West Papua at the Forum level to any great extent. However PNG's Foreign Minister Rimbink says his country will not do anything to endanger the good relationship it has with Indonesia when it comes to West Papua. Mr Pato says he acknowledges the call for a forum mission and it will be discussed but PNG is looking at other methods. 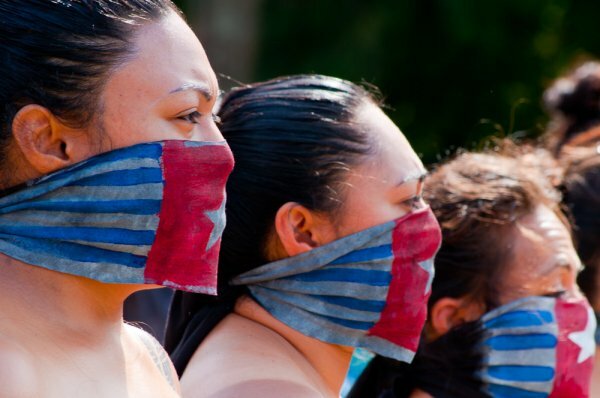 The plenary meetings at the 2015 Forum summit have been marked by protesters outside the venue calling for more action in West Papua.